The electrical conductance (or resistance, depending on how you look at it) depends on the atomic or molecular structure of the material. Metals are excellent conductors of electricity, due to their atomic structure. Metals, by definition, have a lattice structure, with loose electrons that can propagate throughout the metal and are not confined to a single atom. A very small piece of a metal lattice. The positive ions (nuclei) form the lattice, and the negative ions (valence electrons) can propagate throughout the lattice. These loose electrons, which are negatively charged, carry electrical charge throughout the material. When a charge is applied at one end of a piece of metal, that charge quickly and efficiently propagates throughout the metal, as the loose electrons move throughout the metal in response to the introduced charge. But not all materials are metals, and many do not have such loose electrons to acts as charge carriers. Glass, for example, is an excellent insulator, because it has an amorphous, non-crystalline molecular structure. There are no loose electrons, and so few loose charge carriers, and an applied electrical charge has difficulty propagating through the material. 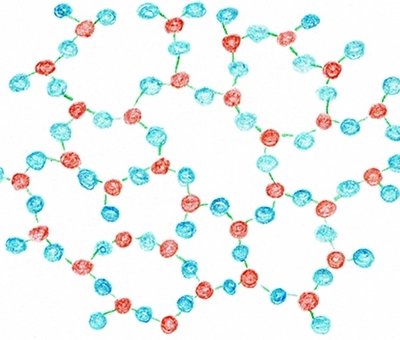 Glass does not have a regular lattice structure, so electrons do not propagate easily through it. Air is like glass, in that even though there is plenty of room for particles to move freely, there are very few charge carriers to transfer electrical energy from one location to another. 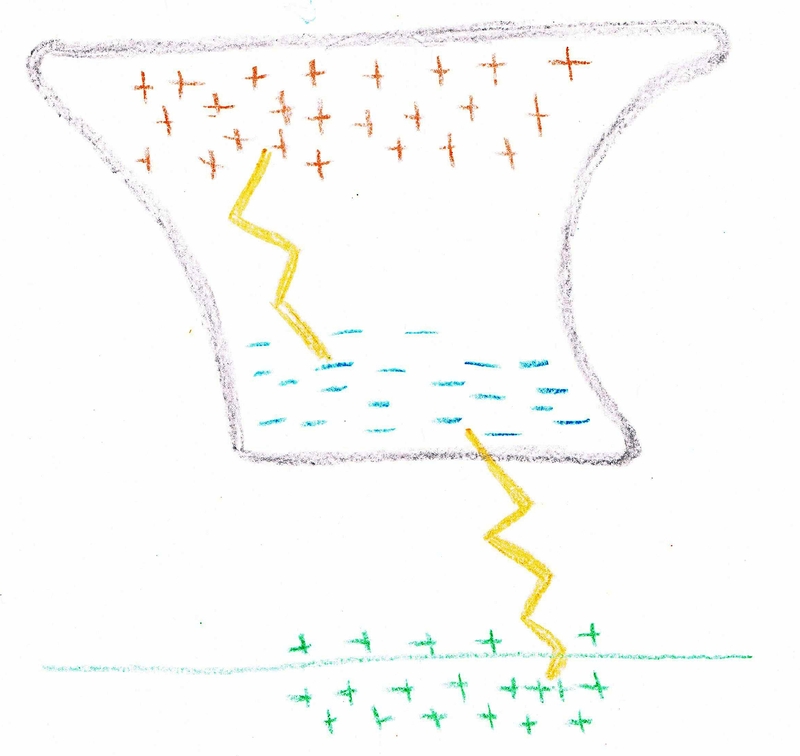 This means that a very large electric field can be sustained across a cloud, as small amounts of charge have a hard time flowing freely between the two regions. There is no such thing as a perfect insulator, and eventually the air cannot sustain the electric field, but since it is such a good insulator, the bolt that discharges the energy is very energetic, which we see as a bright flash and hear as a clap of thunder. 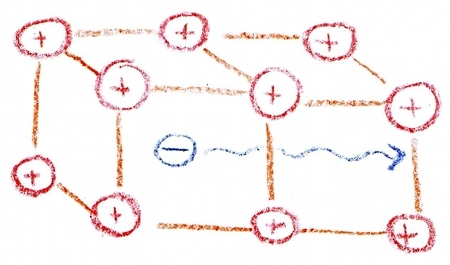 This entry was posted in Meteorology, Physics and tagged conductivity, dielectrics, electric fields, electricity. Bookmark the permalink.